While the rest of us were winding down from the fireworks and festivities of Independence Day Chris Kleinsmith and the crew from Duininck Golf were hard at work, ripping out the turf on Miami’s historic Biltmore Golf Course. In a project that officially commenced on July 5, the Donald Ross designed course is being returned to its authentic roots. 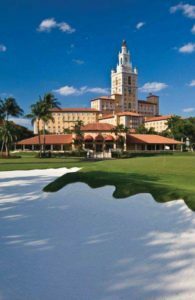 Over the years, the 18-hole course located in charming Coral Gables just south of downtown Miami has undergone tweaks and updates, including a 2007 redesign. The Biltmore Golf Course has also changed in the organic ways all courses evolve with the impact of Mother Nature. As Bob Coman, PGA, Biltmore’s Director of Golf Operations, points out, “This is not, however, a redesign or a reconstruction.” Instead, the project, led by golf course architect Brian Silva, is a carefully planned restoration, thoughtfully and purposefully orchestrated to return the landscape closer to the original 1925 Donald Ross concept. Born in Dornoch, Scotland, Ross epitomized the true Scotts spirit of golfing. At the age of eighteen, he apprenticed at St. Andrews under Old Tom Morris himself, and, in search of more opportunities and greater income, he made his way to the United States. Over his lifetime, Ross prolifically designed or revised more than 400 courses, including Pinehurst No. 2, Aronimink Golf Club, Oak Hill’s East Course and the Inverness Club. Like the Biltmore Golf Course, these four legendary facilities are perfect examples of Donald Ross courses that have, over the years, drifted away from the integrity of their original design. In each case, the course’s management has recognized the value of recapturing Ross’ timeless vision and style and has undergone (or is in the process of) a restoration to recapture the historic design integrity of the various courses. Pre-restoration work on the course started this past June with a target date of December 15 set for completion and reopening. Of the course’s total 140-acres, only about fifty acres are actually changing. The footprint of the existing eighteen holes and that of the practice area will remain the same, but the par-71 course that plays 6,772-yards from the back tees, will soon extend to more than 7,000 yards. 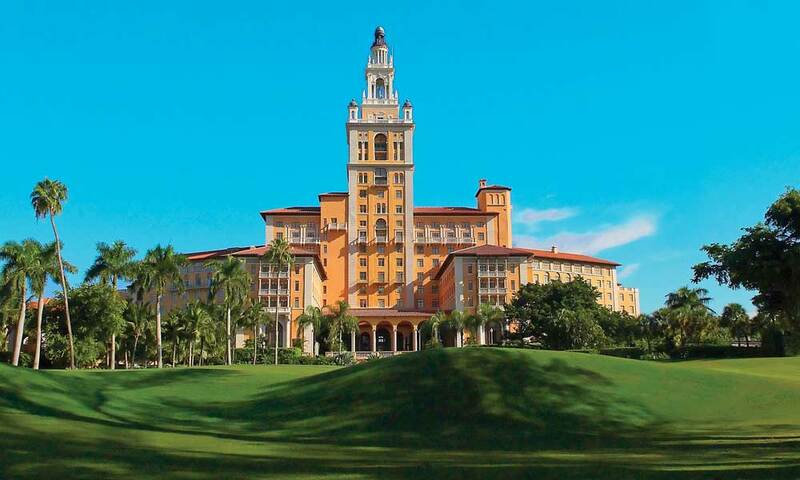 This change alone sets the stage for the Biltmore potentially to host a PGA Tour caliber event, something that has not happened since the Coral Gables Open (also known as the Miami Biltmore Open) was played there in the 1930s and again from 1959 to 1962. Although Donald Ross designs always represent a historic Scottish perspective on golf, his work was also forward-thinking and innovative. Included among his many contributions to the game is the 1913 development of Maniac Hill, one of the world’s first practice facilities for golfers. As Ross tinkered with the courses at Pinehurst, rerouting Pinehurst Course No. 1 to the south, he created an accessible open area that covered roughly fourteen acres. In this space, he designed Maniac Hill as a designated practice facility. Until this time, most golf instruction happened only on the course, conducted in the form of playing lessons. With the success of Maniac Hill, Ross began, in 1914, to incorporate practice facilities as a part of his course designs. 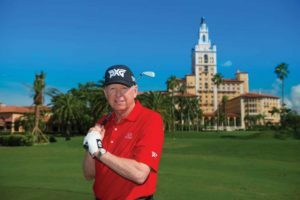 In January of 2018, the Biltmore Golf Course welcomed the Jim McLean Golf School. 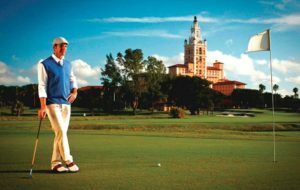 Among the talented instructors who teach at the Biltmore is Lead Master Instructor Bobby Cole. For Cole, the opportunity to teach elite private lessons and golf schools at the Biltmore brings a sense of life coming full circle. As a Lifetime Member of the PGA Tour and winner of 22 tournaments worldwide, Cole, a native of South Africa, made his first U.S. tournament appearance at the Junior Orange Bowl International Golf Championship, an event that has been played at the Biltmore Golf Course for 54 consecutive years. 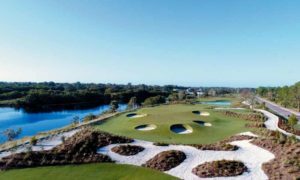 Cole observed, “The Biltmore property includes an upgraded practice area with double-sided range, large short game areas and indoor and covered hitting areas. As part of the restoration, the Biltmore is elevating the driving range to improve drainage and reshaping the short game area which includes three practice greens. Brian Silva summarized the playing characteristics of the restored design, “The original Ross 1925 golf course routing plan showed a greater number of bunkers than now exist on the course. This greater number of bunkers imparts a good deal more ‘movement’ to fairways such that there is more twist and turn as a fairway works its way from tee to green on the hole. This movement has great impact on both aesthetics and the strategic playing interest of the golf course. 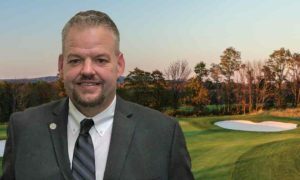 As the Biltmore Golf Course “returns to its roots” by recapturing its authentic design and playability, one can’t help but believe that Ross would be very happy with the changes. 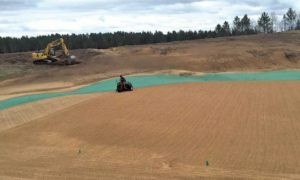 Be sure to watch for the November issue of The Golf Course Trades when we will be interviewing Chris Kleinsmith about progress at the Biltmore and other Duininck Golf projects.